Hello there today!!! Peeking in to share a card for Day of Giving Friday. This is one of my oldies but there are few that are closer to my heart. This week I’m working on new dies and it’s a little bit like dreaming with your eyes open. I always think about what I don’t already have and what I’d like to have and what I’d like to go with what I already have. In other words, my mind is always churning and full of ideas. 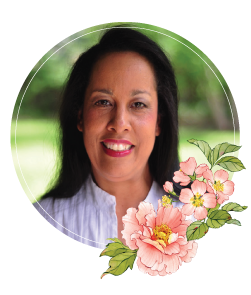 If you’d like to leave a general suggestion – pop up to my contact tab (please do not leave as a public comment) and leave me a little note in the form that pops up. Even though I can’t answer every note, I do read them. I’m doing very well! It seems 2017 is off to a slow start for me but I’m taking time to think, process and feel instead of the constant panic and hurry that has been life for a long time. I call this savoring the good things and being present. And, one of the things I truly savor is the sweet people who pop in and out of my life online. Know you are treasured!! What a beautiful card, love the feather embellishment! I usually use everyday sentiments, only because that is what I have in stamp form. I would love to have a few nice scripture verses to use in my cards. Those are hard to find where I usually get my stamp sets. Sometimes I just write in a scripture passage that I like. Thanks for sharing and for the chance to win one of your gorgeous cards. This is so very beautiful Becca…. I believe undoubtedly in Angels and this combined with such a perfect card would make my weekend. What a beautiful card Becca – I do love beautifully presented scripture stamps, and I needed that scripture this morning. I use a mix of general and scriptural stamps – it depends on the card I am making and to whom it is going!! What an absolutely beautiful card and sentiment, I especially like the angel wings. I use a mixture of both styles of stamps, depending on the person and the occasion. It’s absolutely necessary to have a good choice of both. This card is so lovely and just the reminder I needed at this very moment….things are not good at all. Major Season of Stormy Weather and barely hearing the Lord’s Whisper. Please, keep me in your prayers. Glad to hear you are taking care of you. My motto “LIVE,DONT JUST EXIST” It works! This card is over the top! Everything I love is in this card! Your post is like sunshine today…So. Calif. is getting a deluge of rain, it’s dreary and cold. Good news indeed to hear you are well and getting some down time. Such a necessity, but many times we treat rest like a luxury, especially if we want to do our best creative work. Scripture is something I use on my cards, but I’m more inclined to put it inside the card rather than the outside. Thank you so much for sharing this beautiful card! Hi Becca,what a beauty of a card , loving it all. I love to use both , it really does depend who i am sending too. Beautiful Card Becca. 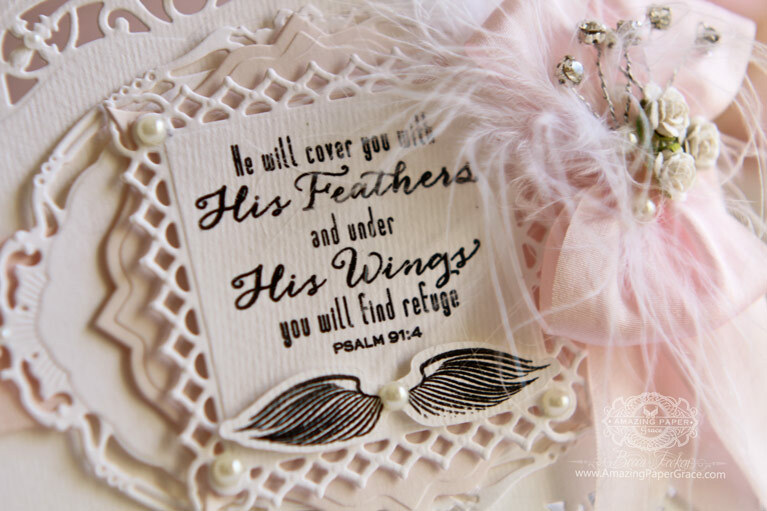 Psalm 91 is my favorite psalm. I use both on my cards. It depends who I am sending to. I can not put any scriptures in the card I send to missionaries. Hi Becca, You have used the best of the best from dies gone by but you always put a fresh twist on them and that added bow is deal maker. Thanks for sharing and using past items–doesn’t feel as though it was wasteful spending when I added those dies to my collection. I always use scripture when appropriate for the recipient. If I don’t know the person that well I revert to paraphrases of scripture or generic sentiments. It’s the contact that’s important even more than the thought sent. Just remembering them speaks volumes. Lovely card, Ms. Becca – thank you for sharing it. I like a variety of things on my cards, including scripture. I try to balance them, because I want my cards to be inspirational to people of all faiths, not just Christians. And then, too – I love my punny cards…always have. What a gorgeous card! I love the way you used the feathers. Hi Theresa, Herewith I am sending you and your family my Heartfelt prayers, your Brother Ray will be welcomed into the Arms of Our Lord. You are in my thoughts and in my prayers. Hi Becca, this card is so beautiful. The colours, right mixture of dies & sentiment make it perfect! I love to use both everyday & scripture verses. I like any words of encouragment too. Beautiful card, the sentiment is usually chosen to suit the person I’m giving the card to, so it would be a mix of sentiments. Such a wonderful and elegant card here again Becca, and a beautiful verse, that you´ve used here. This is such a lovely card, Becca. I love the layers. And the colors. And just everything! Thank you, as always, for the inspiration. You are my Guru of the paper world!! Pretty card very soft ! Good morning Becca, I too thought the wings were a moustache but hey ho!!! Silly me!!! I use mostly everyday sentiments it depends on the recipient!!! Your card is stunning as they always are!!! John Lockwood did you proud!!! I love scripture only I have not many stamps yet but the Word of God is a wonderful way to express our love, faith and encouragement. Your cards are amazing and expressive! as I call them of everyday greetings but anytime I can get scriptural stamps I do. Hi Becca, A stunning card and the Psalm wording is glorious, they are lovely words for a ‘Sympathy’ card. Sadly, the people who I make cards for are not Religious like I am, so I tend to use ‘Everyday’ sentiments, but the Scripture words mean a lot to me and I have a lot of them. I’m excited to know what your new designs are like !! Such a pretty card, Becca, and a beautiful scripture. I have determined this year to send more cards with scripture on and to provide more to our ministers to hand out as appropriate. We don’t seem to have many scriptural stamps in the UK, so I have to computer generate or hand write. Hi Becca such a beautiful card and Sentiment. I always find the sentiments on your cards to be beautiful. I think however that sometimes scripture sentiments are not appropriate for some people or occasions, therefore I do like a mixture of both. Good Luck with designing your new Dies I am certain that they will be – as all your others dies are – brilliant and a great asset to our crafty arsenal. Hello Becca- Your card today is again simply lovely! You do such beautiful pieces of art with each card you craft. 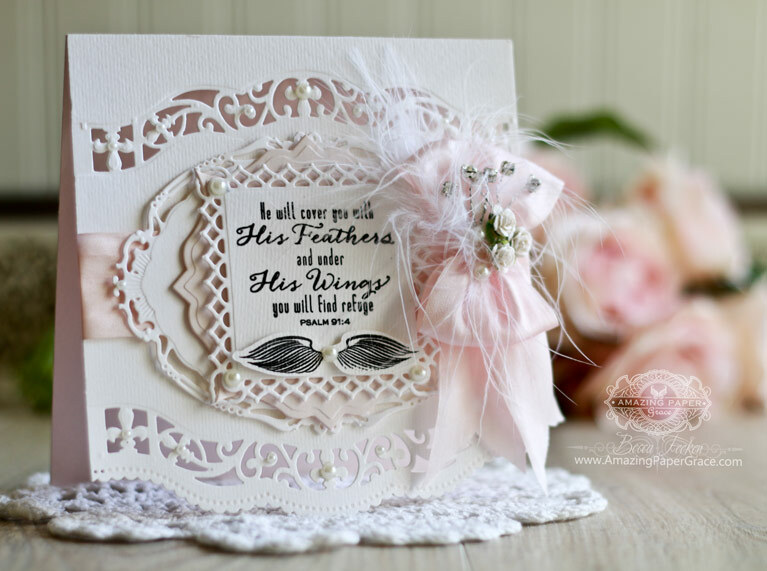 I love the layers and details on this card and especially the scripture. I love using scripture and love receiving cards with scripture.